Welcome back one and all to the Wonderful World of Disney! Since we're getting close to Thanksgiving and one of the popular aspects of Thanksgiving is the peace that was established between the Pilgrims and the Native Americans I thought it'd be cool if I did this Disney History Lesson on Pocahontas. Let's have a look-see shall we? Unlike the other Disney Princesses, Pocahontas was an actual person not a character in a story. 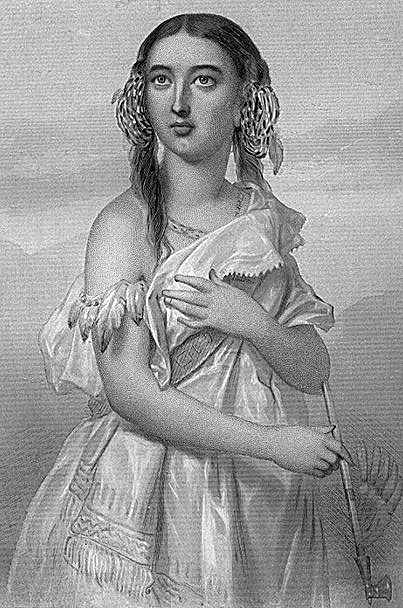 The real Pocahontas was born in 1595 in Werowocomoco, Virginia but she was originally named Matoaka and then called Amonute before finally going by Pocahontas. It was customary for Virginian Native Americans to go by several different first names through the course of their life as different names had different meanings and would be used in certain contexts. Perhaps the most amazing part of Pocahontas' real story is this...she never viewed John Smith as a potential love interest. 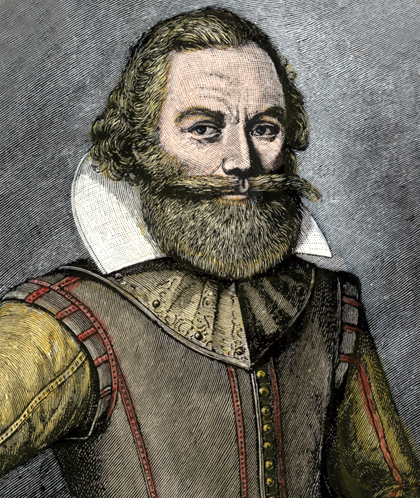 Captain John Smith was an Englishman who was taken captive by Powhatan in 1607. Powhatan was the father of Pocahontas and the paramount chief of the Virginian tide-water region tribal nations known as Tsenacommach. The story goes to say that on the day of John Smith's execution Pocahontas rushed in and put herself in between him and her father's war ax and thus saved him from getting killed. The act of bravery she displayed bought her some respect from the British settlers for some time. John Smith was 27 year old at the time and Pocahontas was 12. Historical records claim that there was no romance what so ever between the two of them and if anything she viewed him more as a father-figure. John Smith left a few years later and Pocahontas was told that he died even though he was living in England. In 1613 tensions rose between the Native Americans and the British settlers and Pocahontas was one of the many Natives taken captive by the British. Pocahontas was held prisoner for a year in Jamestown-she was 17 years old. During her imprisonment a tobacco magnate named John Rolfe made a deal with Pocahontas and her father Powhatan -John Rolfe was 28 years old. He said that he would have her released from the British and that he would expand Native American influence if Pocahontas would agree to marry him and convert to Christianity. John Rolfe's diary reveals that he was actually quite in love with Pocahontas but there is no documentation to claim what she felt about him. 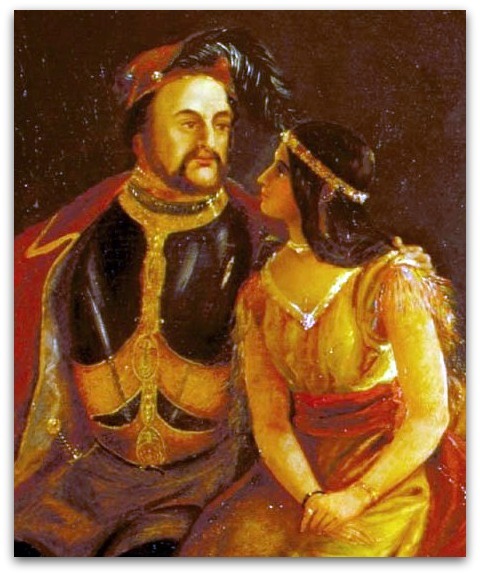 Pocahontas married John Rolfe and converted to Christianity under the name Rebecca Rolfe in 1614. Their marriage is said to be the first documented interracial marriage in North America. 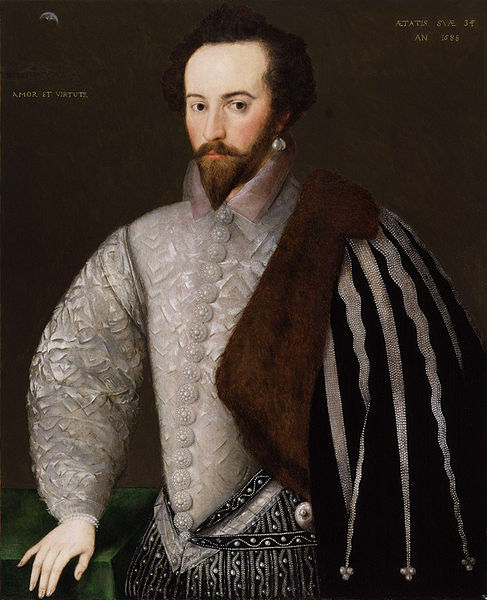 They had a son named Thomas Rolfe in 1615. In 1616 John took Pocahontas and Thomas to England. They attended a masque at Whitehall Palace where John used Pocahontas as an example of a "civilized savage" to expand Native American influence as he had promised Pocahontas and her father Powhatan and to promote the Jamestown settlement. There Pocahontas found out that John Smith was in fact not dead. In 1617 Pocahontas died at the age of 21 from unknown causes right before she, John Rolfe, and her son Thomas were due to sail back to Virginia. She was buried at a church in Gravesend, England. 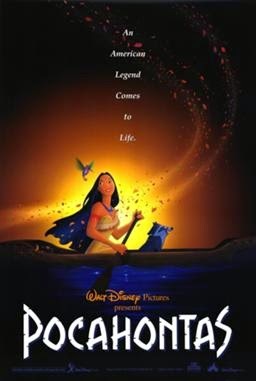 The animated film Pocahontas was released on June 14th 1995 which was approximately around the same time as the real Pocahontas' 400th birthday. The movie was the 33rd in Walt Disney's Animated Classics Series and the first to be based on real-life historical accounts. 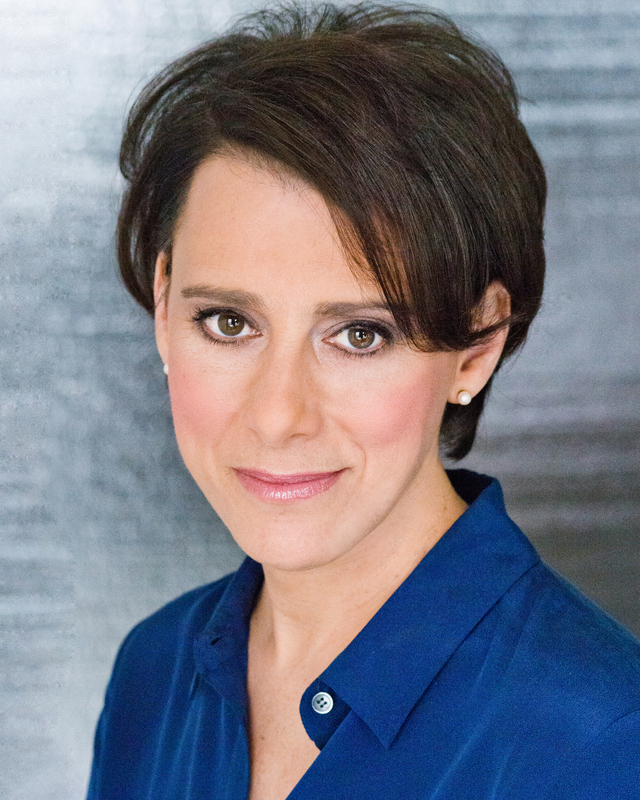 Pocahontas was voiced by Irene Bedard for talking and Judy Kuhn for singing and was portrayed as being 18 years old. John Smith was voiced by Mel Gibson and was portrayed as being 21 years old. That's all for this Disney History Lesson! Have a Happy Thanksgiving and stay marvelously magical!